Royal Mandaya Hotel will celebrate 20 years in the hotel industry in the city of Davao come September 2018 and it will be organizing a fun run for a cause with its theme “Run Against Heart Disease” for the 6th time around. Being held yearly since 1993 Hunat sa Dabaw 6 has partnered with the GMA Kapuso Foundation, Inc dedicating its proceeds from the fun run directly. to the medical mission outreach in the prevention of heart disease. Hunat Dabaw 6 with an increasing number of participants each year is targeting 3,000 participants from not only in Davao but from the other parts of the Davao region and Mindanao. Hunat Dabaw is now beginning to become the city’s annual sports acitivity. Kadayawan season is here and its the most festive month of the year for all of us, Dabawenyos. thus food and fruits are abundant this time of the year.Park Inn Davao celebrates with this year's Kadayawan by offering a bountiful set of Filipino dishes to offer hotel guests and walk in diners served on top of our very own native banig featuring Davao's bountiful harvest. 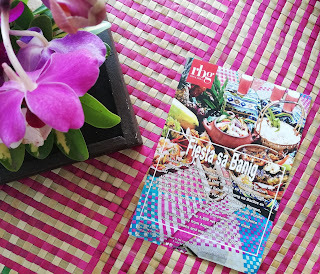 Park Inn Davao's RBG Bar & Grill Fiesta sa Banig serves guests its traditional Filipino Food with a festive and native vibe. Set meal includes a choice of Salad, Sinigang na Bariles sa Mangosteen, Grilled Chicken, Pork and Boneless Bangus, basket of Pandan Rice, For desserts, it comes with Durian Ube Turon & Sweet Potato Float. Plus a round of Pineapple Pomelo Juice or Arabica Robusta Coffee. Priced at P1,899 net per set. Fiesta sa Banig is available daily from August 13-31, 2018. Seda Abreeza, Davao's urban lifestyle hotel celebrates 5 fruitul years and what makes it more festive along the years is Seda celebrates it with the king of all festivals, Kadayawan. Seda Abreeza also partnered with Malagos Chocolates, Malagoss Cheese as well as the Philippine Eagle Foundation, TADECO. Seda Abreeza pushes wildlife preservation by partnering with the Philippine Eagle Foundation. 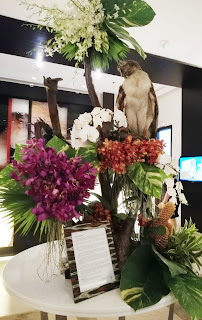 Apart from its promos on room accommodations, Seda now brings back "Diola" in its hotel lobby to bring awareness to hotel guests and tourists the importance of wildlfe conservaton, Guests who will book their stay will be able to help this initiated by the Philippine Eagle Foundation. A bonus for the Kadayawan week is also prepared by the hotel's Misto. A festive dinner buffet awaits hotel guests that will surely make their stay memorable from the period of August 16-18, 2018. Misto is a Philippine Tatler Awardee for two years now led by Chef Bang Sibala and her culinary team.